Automatic Pool Chemical Controllers - Your Pool's 24hr Policeman! 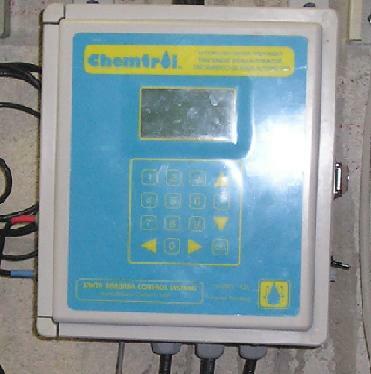 Pool chemical controllers use a special microprocessor as their source of operation. Pool controllers are devices that can be simple in design set up, limiting you with the ability to only adjust your pH and pool disinfectant level. On the other hand, these automatic devices can also be very complex in design. This depends on the amount of special features and/or options that are available from the manufacturer. To incorporate remote computer communication. To control other pool water parameters beside your pH and sanitizer levels. Automatic swimming pool chemical controllers are devices that can control and monitor more than one swimming pool or spa at a time. If you decide to go with the more basic design in an automatic pool controller, you will be very limited in carring out your pool water analysis. With the simple controller design, you do not get an actual pH and ORP reading display. Instead of giving you a digital readout, a simple pool controller have a few small indicator lights. These indicator lights will inform you or a pool/spa operator whether or not the probe measured values are within your set limits. As manufacturers add more special functions to their pool chemical controllers, the more complex these chemical control systems become. Automatic pool controllers that are of the complex design, can be incorporated to perform a number of different pool monitoring tasks. An automatic pool control system can be programmed to provide the user with information on anything. The information provide can be anything from digital readouts, to sounding special alarms whenever something is seriously wrong. Using an automatic pool controller system, can provide data storage that will not be corrupted or affected by a power interruption. Chemical automation is now being highly recognized as an absolute must for many swimming pools and spas around the world. You can even see controllers being used on cooling towers, and industrial water treatment process plants as well. Using a special advanced microprocessor, an automatic pool or spa chemical controller introduces a new standard of sophistication in controlling your pool disinfectant, oxidizers, ORP, and pH. ORP control of your pool sanitizer/s and or oxidizer activity. pH control with a choice of controlling an acid or a base feed. Programmable shock treatment and chemical saving cycles. Langelier saturation index for water balance. Full screen menus that can be displayed in different languages. Record your pool's circulation or filtration line pressures. 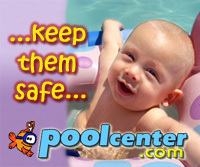 Having your pool sanitizer concentration displayed in either ppm or mg/l. Having a programmable pool heater control added. Having control of conductivity or total dissolved solids (TDS). Being able to remotely access your automatic controller from a computer anywhere in the world and see the data displayed in graphical form. One important fact that we should always remember, it does not matter if a pool controller is of the simple basic or complex multi-functional design. There will always be one very important requirement that is common between the two. All chemical feed systems, manual or automatic, must be able to shut down if there is a lost in circulation to your pool or spa. This is an important safety feature that will prevent over-feeding of your pool disinfectant, which can lead to temporary closure of your recreational facility. When you initially set up your new pool chemical controller, you have to determine the correct size of your swimming pool or spa. This process is necessary if you are going to choose the right type of feed cycle. For instance many home owners who have small pools or spa systems, would rather have a more precise chemical control delivery system. The best choice for them would be a proportional control method. Using a proportional feed method will prevent over-feeding from over-sized chemical feeders. Basic chemical controller designs use a simple on/off control signal, which controls your chemical feed pumps. However using a simple controller design setup, can result in greater changes to your pool or spa water chemistry. More than a well trained pool/spa such as yourself would want. Using these types of swimming pool chemical controllers will cause your pool water chemistry to fluctuate from highs to lows and back again; thus, giving you that unwanted yo-yoing effect. On the other hand - an automatic swimming pool controller that has a proportional feed, measures how far off your readings are from the desired set point. Using this type of controller feed method for your chemical, will activate your chemical feeders for a short time when your pool readings are closer to their set points. Now if your pool readings are far away from their set points, your chemical feeders will be activated for a longer time period. This feed process will continue until your set points have been reached and maintained. This feature when used correctly, will minimized the swings from highs to lows in your pool water chemistry. As I mentioned earlier, automatic swimming pool and spa controllers can be programmed to notify a pool or spa operator on the other side of the world...concerning issues about their pools. This special feature helps to solve small problems before they escalate into bigger ones. This advantage will help minimize any down times for any of your pools or spas. Despite the many different advantages that a chemical pool controller can give you, it is still vital to have someone who is well trained. This trained person will be capable of diagnosing and fixing your pool water problems. The truth of the matter - it is ineffective to notice an alarm situation and not be able to diagnose or fix the problem. As a pool operator or pool owner, your thinking and acting is still an absolute must, even though your swimming pools are being monitored by automatic chemical controllers. Chemical controllers for swimming pools monitor your pool water chemistry through special probes!